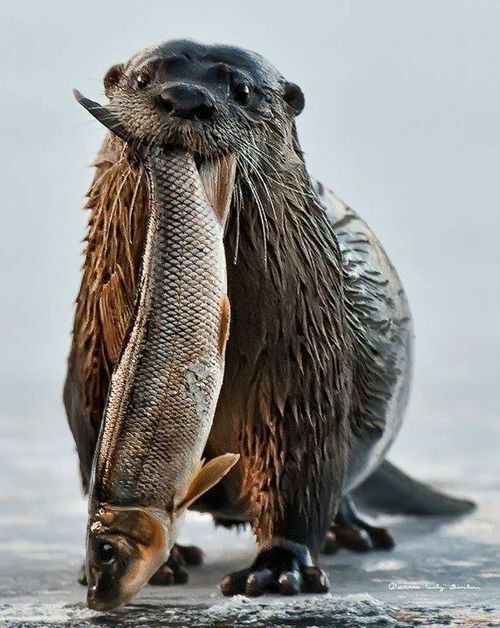 You see a happy otter. I see an unhappy, brutalized fish. Down with mammocentrism! Fish Lives Matter! I wonder how to train an otter to fetch?